Peter Reed was an extraordinarily gifted athlete on all playing fields. He excelled in soccer, fencing and lacrosse gathering nine varsity letters in all. 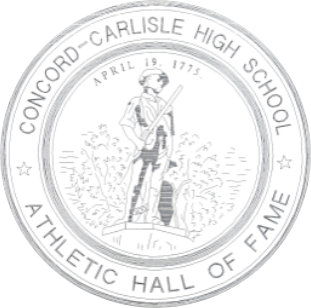 He received awards such as All-Middlesex League in soccer three times and All-Eastern Mass once. In lacrosse, he was honored by being named to the first team All Eastern New England. He was named DCL MVP fencer his senior year. At graduation, he was honored by being named Outstanding Athlete of the Class of 1973. He broke away from the normal tri-athlete pattern of playing football,. basketball, and baseball- A large contributor to this was his move to Oxford, England for a year when he was in fifth grade. This is where he was introduced to soccer and eventually developed love for the game. Many experiences on CCHS playing fields have stayed with Peter over the years. They range form making a beautiful cross during the second round of the state tournament and watching it go past the goalie as two of his teammates. 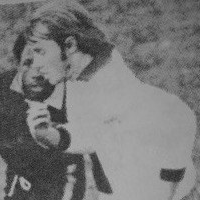 drifted out of bounds; to seeing varsity lacrosse coach, Jim McClellan, get hit square in the forehead with a lacrosse ball, being knocked to the ground, than jumping to his feet giving more orders in typical McClellan fashion, After graduating from CCHS in 1973, Peter attended college at Cornell University. There he played freshman and a year of varsity soccer. He also competed at the varsity level in fencing for one year. Throughout his college career he played intramural box lacrosse and hockey. His intramural box lacrosse team won the University Championship for the straight years. After graduating from Cornell, with a BS in Civil Engineering, Peter moved to Denver, Colorado. He continued to satisfy his love for sports by playing competitive league soccer, playing golf, and skiing the challenging Rocky Mountains. Peter Reed returned to the Concord area moving to Maynard, Mass. April of 1996. There he coaches his children's soccer teams.- Most recently he participated in the first annual CCHS lacrosse alumni game in August of 1995.